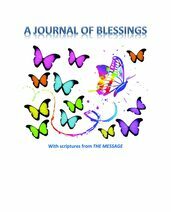 This journal allows us to keep track of the daily blessings in our lives. It reminds us to be grateful and give thanks to God, as well as to others. The scriptures are taken from THE MESSAGE, with permission. It accommodates approximately 4 months' of daily entries. 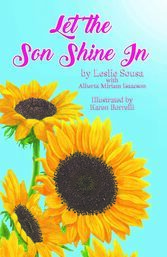 "Let the Son Shine In took me on a journey through love, loss, grief, adventure and healing. Each poem in this anthology left me anticipating the next. I could not stop reading until I got to thievery last word. I love the way Leslie used her mother’s poems to launch her own responding poetry. I felt every ounce of Leslie’s mother’s love for Leslie, and in return Leslie’s love for her mother; the pain of her loss, and the peaceful comfort that has followed. The precious messages that this treasury holds have touched my heart deeply. I laughed, I cried, I was inspired, encouraged, and blessed. I look forward to purchasing a copy of my own and can’t wait to share this beautiful collection. Being born ten weeks early literally put a hitch in her get-along. Weighing in at only three pounds twelve ounces, then being diagnosed as a spastic quadriplegic, who knew Jennifer could live in an able bodied world as, what she calls differently-abled, with any kind of success. Here she shares the trials, tribulations, and triumphs of doing exactly that, making a place for herself in the world of non-believers and nay-sayers, with the help and support from family and friends. A collection poems and prose from the pen of Rev. George W. Bassett, centered on the Christian's daily walk with God with a hope and look toward Heaven.